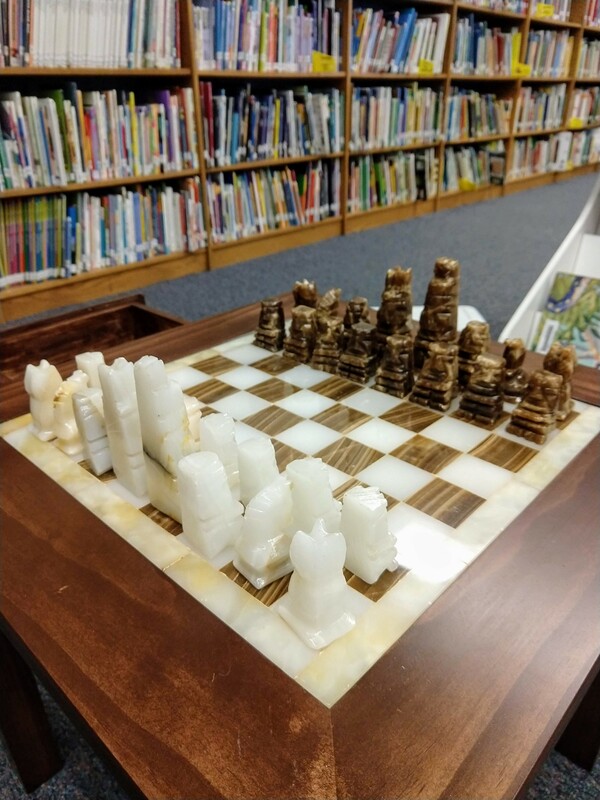 Back in May 2016, a parent, Patrick Ivey, donated a beautiful marble chess set to the chess club. It was too nice for everyday use, so we only brought it out on special occasions. This meant that it sat on a shelf most of the time. 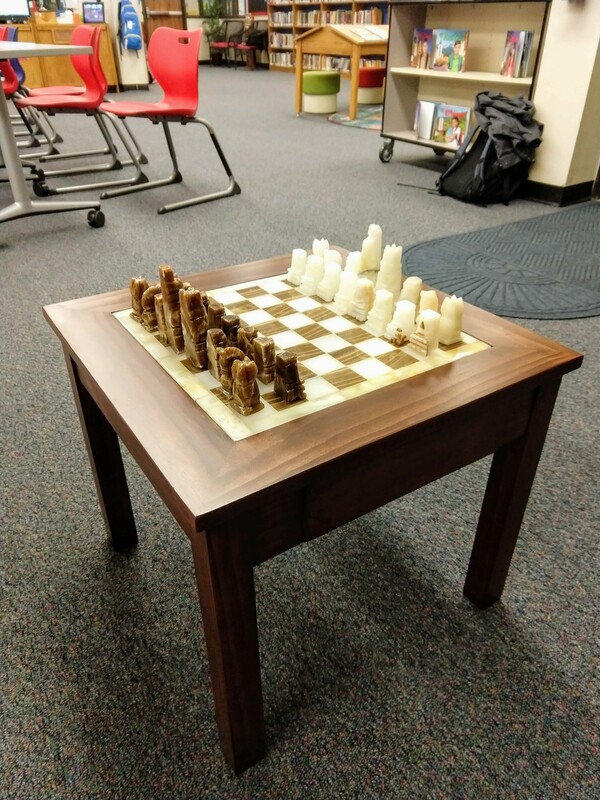 Colleen Murphy, mom of club member Jameson Murphy-Hall, saw the set at the end of last school year and thought it would make a great woodworking project for her husband McLain Hall. 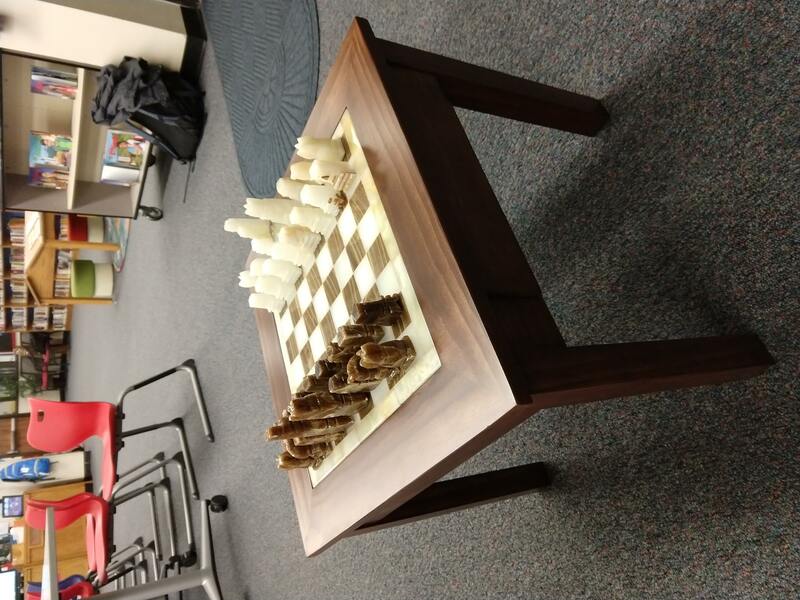 She took the marble chess board home over the summer and McLain worked his magic to create a table to house the board. 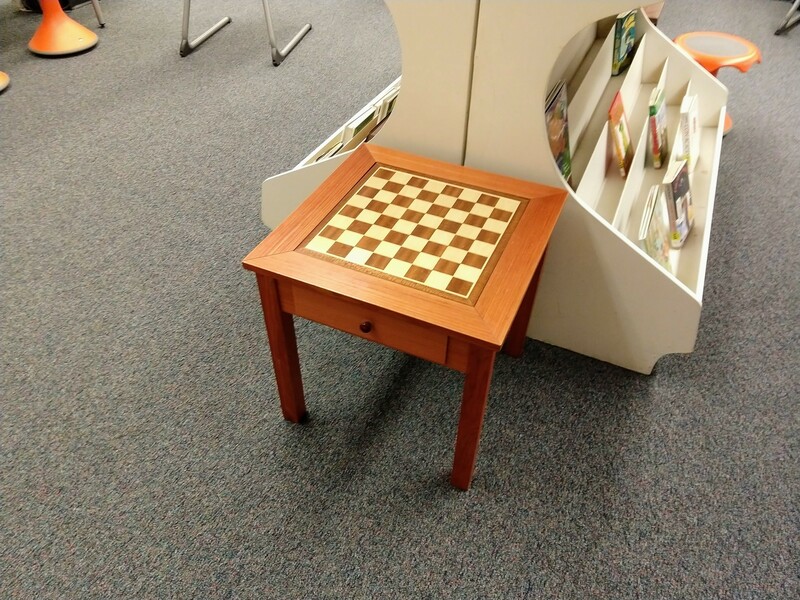 Well, two weeks ago, the Chess table was completed and Colleen presented it to the Chess club. It is amazing and a great example of fine woodworkmanship. 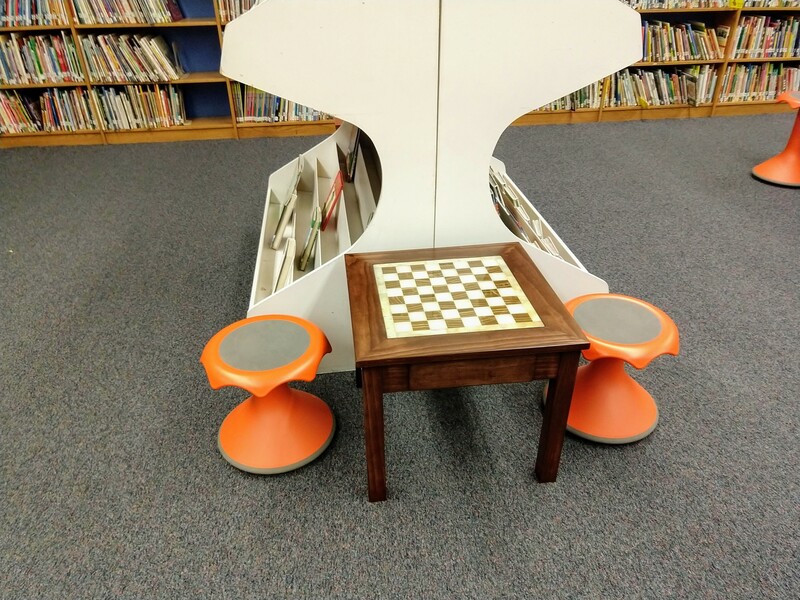 The table design was based off the existing chess table we have in the library. Similar height, etc. 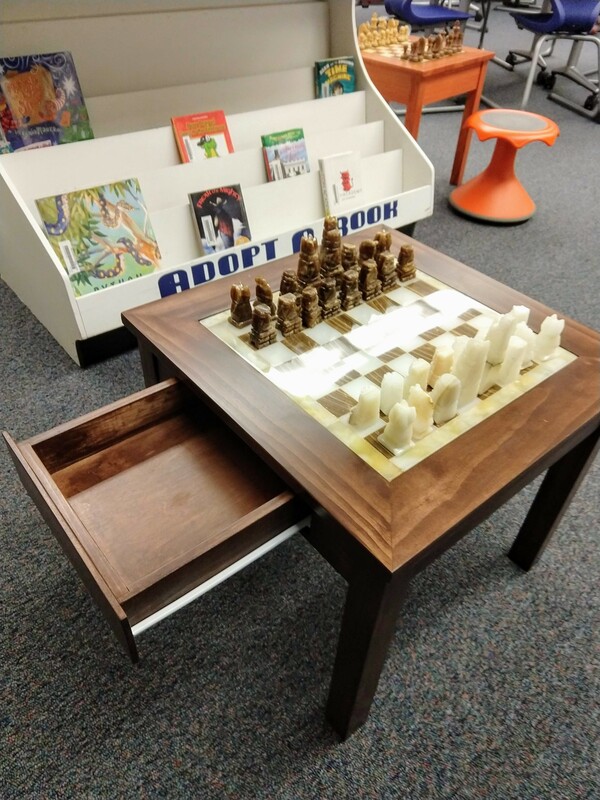 It has a built in drawer to house the marble chess pieces when not in use. McLain used 3/4 inch pine. 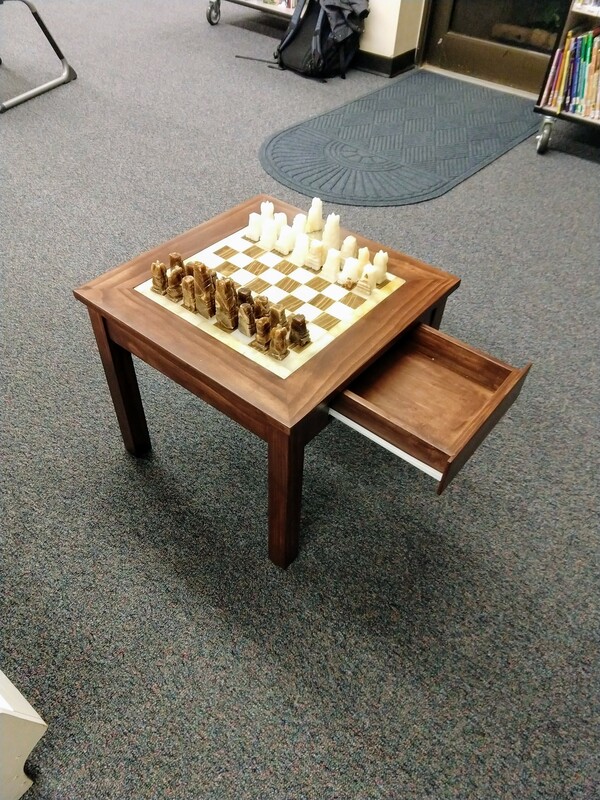 The legs were made by gluing multiple boards together to get the right thickness. He used a gel stain for the finish and 3 coats of polyurethane as a surface protectant. 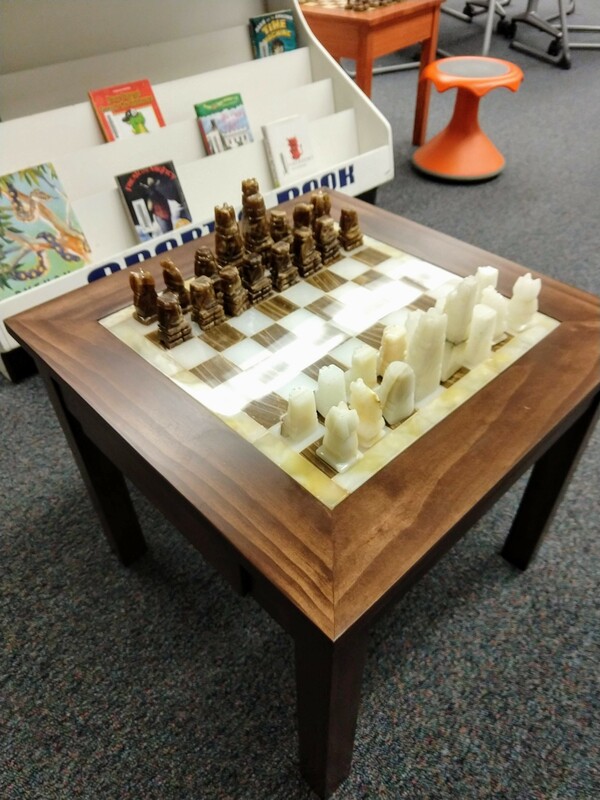 We all thank Colleen, McLain and Jameson for donating their time and work to make this nice table for our club. 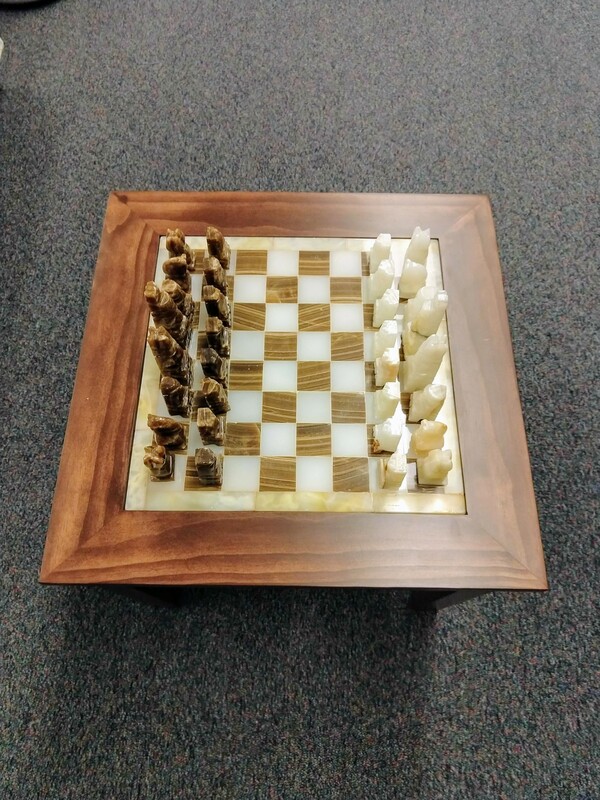 We hope all of our students get a chance to play on this board over the course of the year.